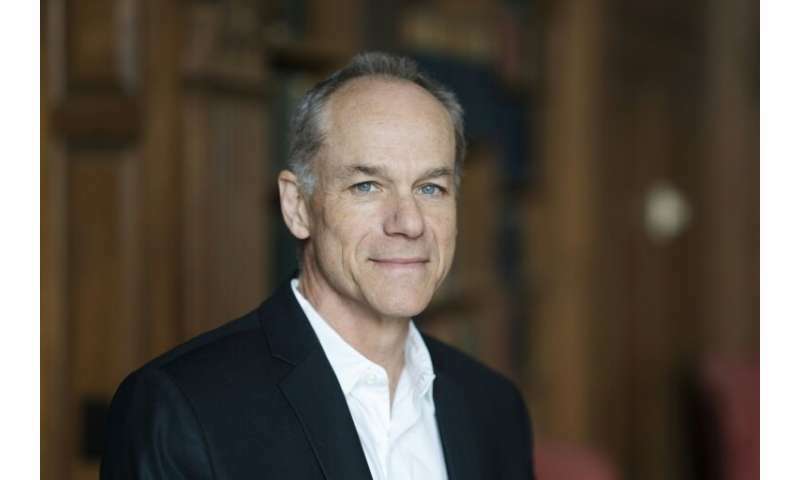 The annual Templeton Prize, which recognizes outstanding contributions to "affirming life's spiritual dimension," was awarded Tuesday to Brazilian Marcelo Gleiser—a theoretical physicist dedicated to demonstrating science and religion are not enemies. An agnostic, he doesn't believe in God—but refuses to write off the possibility of God's existence completely. The prize is funded by the John Templeton Foundation—a philanthropic organization named after the American Presbyterian who made his fortune on Wall Street, and who set on "seeking proofs of divine agency in every branch of science", as The Economist put it. The physicist focuses on making complex subjects accessible. He has written on climate change, Einstein, hurricanes, black holes, the human conscience—tracing the links between the sciences and the humanities, including philosophy. So, what does he think of people who believe that the Earth was created in seven days? "They position science as the enemy ... because they have a very antiquated way of thinking about science and religion in which all scientists try to kill God," he said. "Science does not kill God." On the other hand, he accuses the "new atheists" of doing a disservice to science by making an enemy out of religion: notably British scientist Richard Dawkins—who called for the arrest of Pope Benedict XVI over pedophilia in the Catholic Church—and the late journalist Christopher Hitchens, who criticized Mother Theresa. "At least half of the world population is that way," he said. "It's extremely arrogant from scientists to come down from the ivory towers and make these declarations without understanding the social importance of belief systems." "When you hear very famous scientists making pronouncements like ... cosmology has explained the origin of the universe and the whole, and we don't need God anymore. That's complete nonsense," he added. "Because we have not explained the origin of the universe at all." Is there an underlying sympathy between new atheism and protestant fundamentalism? News Flash for ya, Marcelo: You said you're agnostic. That means you're non-theistic. Agnostic, coined by Thomas Huxley, is a belief that the intellectually honest position is that one needs to be non-theistic, but also not anti-theistic. Or more commonly put, someone who does not believe in a God (non-theist), but one who does not rule it out either (not anti-theist). Atheist = non-theist. That's all it means. Like abacterial = non-bacterial. Difference between that and anti-bacterial. It's at the construct of the human language, so you can't re-define it. Atheist = not being whatever 'theist' means. Abacterial = not being whatever 'bacterial' means. So Marco, what you mean to say, is being ANTI-THEIST (or "strong" atheist) goes against the scientific method. Yes, that has an argument. But your current argument has a Terrible Terrible flaw in it. And no, there is no "you know what I mean" to it. "An agnostic, he doesn't believe in God—but refuses to write off the possibility of God's existence completely." Most ATHEISTS, including myself, ALSO "refuses to write off the possibility of God's existence completely.". Yes, it is possible there is a God; but it is highly unlikely which is why I am an atheist. Its also possible there is a supernatural teacup orbiting Mars. So would you say you are 50% certain there is such a teacup? No? Think you would be STUPID to be 50% certain of it and think you should be more like less than 0.1% certain of it? Well, NOW you see why I and most atheists think there being a god or gods is highly improbable. NO, it is NEITHER consistent or inconsistent with "scientific method" because scientific method can only test hypotheses that are TESTABLE and neither of those two are. 2, there exist a supernatural conscious person. 3, That person made the universe. Only one above need to be wrong for there to be no God. If we are even if we are generous here and allow 50% probability for each, God is unlikely. Sorry Physicist Marcelo Gleiser! You are being an idiot here! "If we are even if we are generous here..."
"Even if we are generous here..."